We are the most reliable, affordable and convenient luxury transportation you can find in Plano city. If you are looking for a ride around the city with our limo service Plano, then call us right away. We are at your service 24 hours a day and 7 days a week. Our reliable limousines will take you on tours of the city and also shuttle you to important events and functions like birthdays, weddings, homecoming, sports event, etc. Call now and get a quote in seconds: 214-206-9269. Our fleet is filled with updated makes and models with modern amenities as well. You can enjoy GPS, flat screen TVs, private area, mini bar, a private bartender, leather cushion seats, etc. in all of vehicles. We ensure that you get timely ride to your destination in any of the limo service Plano vehicles you hire. So, relax, sit back and enjoy our limousines at affordable rates. We believe in offering high quality service for our customers always. You will find our vehicles to suit to your needs and comfort. 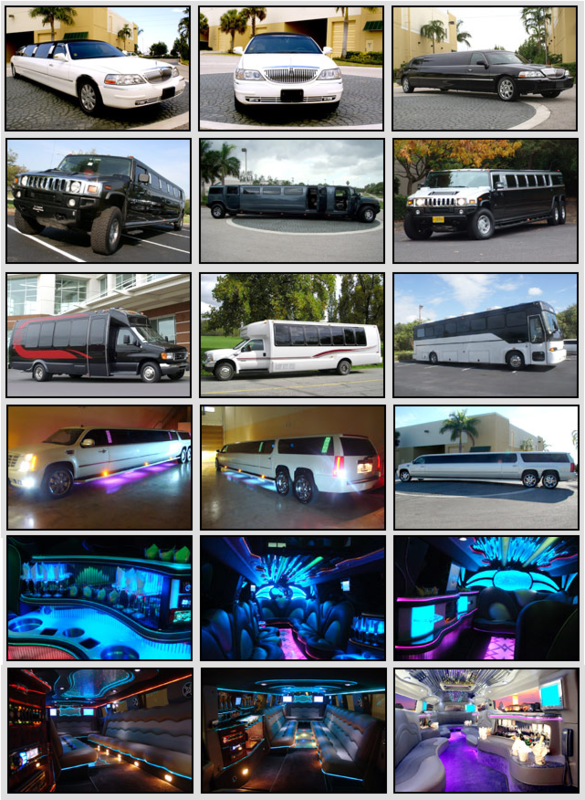 We have a wide variety of limousines in our fleet like Hummer, Chrysler, Cadillac, Mercedes and many more. We provide you with the limo rental services to accommodate various seating capacities. We have rides for couples as well has vehicles to accommodate 10 to 15 people. For really large groups, try our Plano charter bus rental. If your going to be with a group of 15+ people, you might want to view our fleet of Plano Party Buses! Just fill in the contact form that you find in our website to book the transportation of your choice. You will have to give correct details like name, address, contact number, type of limo, time and date of rental, pick up and drop locations and any other special instructions required. Call our live customer support staff at 214-206-9269. We are here to help you! Celebrate in style a bachelor party, go bar crawling, or enjoy a birthday as we take you Pete’s Dueling Piano Bar, New West, Far West, or the ORb Nightclub. Have everyone talking as you pull up in a white Plano Excursion limousine and make your way into the club. Our professional chauffeur service in which you can sit back and enjoy the ride as we are your designated driver for the evening. You do not have to worry about anyone driving and risking lives as well as getting in an accident. We know you do not want to lose your license. Hire the perfect ride which the bride-to-be and her family arrive in for the ceremony. With a variety of vehicles to choose from she can arrive in the Lincoln Stretch limousine in Plano which sits up to 10 passengers, the Plano Chrysler 300 limo, or our 20 passenger Excursion in Plano which is one of the most popular vehicles. We provide the newlyweds with a ride after the ceremony to the reception where they can celebrate with friends and family. Once the ceremony is completely over Limo Service Plano can provide you with transportation to Dallas/Fort Worth International Airport. Southfork Ranch; an attractive looking ranch to spend some leisure time. Take a tour of the ranch to enjoy its beauty. Heritage Farmstead Museum; a refurbished 1895 Victorian farmhouse and museum that is a must see. Old Downtown Plano; a delightful street to shop and enjoy historic buildings and landmarks. Cinemark at Legacy; a great theater to watch movies. 32 Degree Rooftop Bar; a well stocked bar with attractive view from the top and DJ music. We are known to offer the most affordable and competent limousine service Plano airport transportation. We will take you and your small family or touring group to nearby airports like Dallas Love Field international airport and Dallas/ Fort Worth international airport safely and on time. Our rates will be the most affordable one in this city. We ensure that you will get top end services at affordable prices. Schedule your rental now and you will find that we provide you with all the services that we offer. We travel to anywhere in the area like: Fort Worth, Duncanville, Dallas, Addison, Garland, Allen, Rowlett, Richardson, Rockwall and Frisco. You might also want to search limousines Irving TX or limo rentals in Rowlett.